MOON TOWNSHIP — The Robert Morris Colonials women’s lacrosse team (2-1) lost to the Liberty University Flames women’s lacrosse team (4-1) by a final score of 10-7. The Flames opened the scoring up off of a free shot by Carly White. The lead did not last for long though, as the Colonials’ Kerri Sayrafe tied the game at one just over a minute later. The Colonials then took the only lead they held all afternoon as Thalia Zolis scored on a free shot. 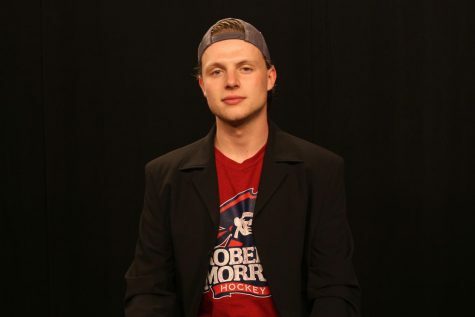 From that point on the Flames got red hot, as they scored the next four goals before RMU was able to answer. With just under seven minutes remaining in the first half, Clio Kerr beat the Flames’ goalie off of a feed from Mackenzie Gandy. Before the end of the first half, Flames member Jenna Joyle took a stick to the mouth on a free shot; and upon taking out her mouth guard, found a tooth had come out with it. She was taken off the field and to UPMC for treatment. One more Liberty goal brought the game to the half with a sitting score of 6-3, in favor of the Flames. In the start of the second half, RMU came out to a slow start, allowing the flames to net three more goals in the first fifteen minutes. Mackenzie Gandy then decided to take a stab at extinguishing the Flames, as she took the game into her own hands for a span of just under seven minutes. 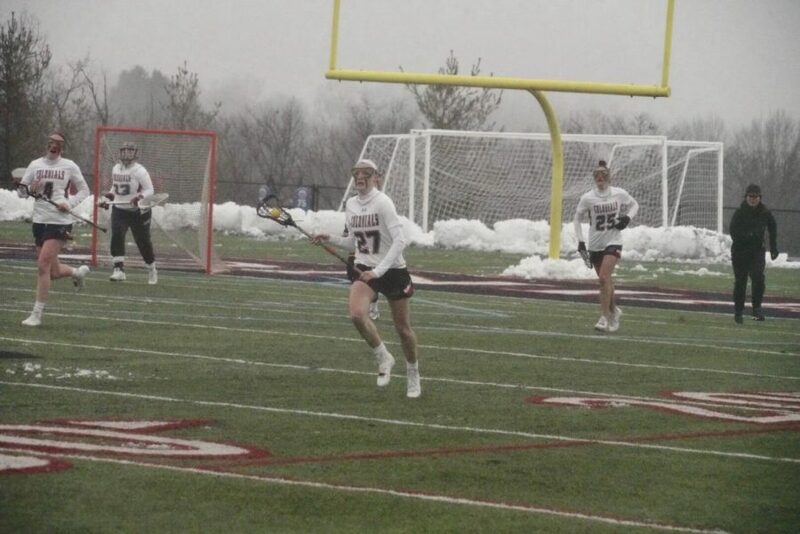 She netted three straight goals, with the first coming from a pass off the stick of Rachel Ward. The second was scored from a free shot, and the third was unassisted, which brought the score to 9-6. One more goal from Liberty proved that although their lead was cut down, they were not going to make coming back easy. The Colonials responded with one final goal, proving the late comeback wouldn’t be enough, with the final score being 10-7. The next game the Colonials will battle through will be at Bucknell University on Saturday, March 2nd.